Bright colours for a fall day! Love it! Great look. Love the shoes. Great look,hon!The bag and the scarf are to die for! Wonderful outfit! i like your sweater! Great outfit and I love your colour combination! lovely combo color dear!great outfit! this is great!!! I love your bag, you’re always amazing! The colours of this look are beautiful!!! And i love the slightly 60s styling!!! 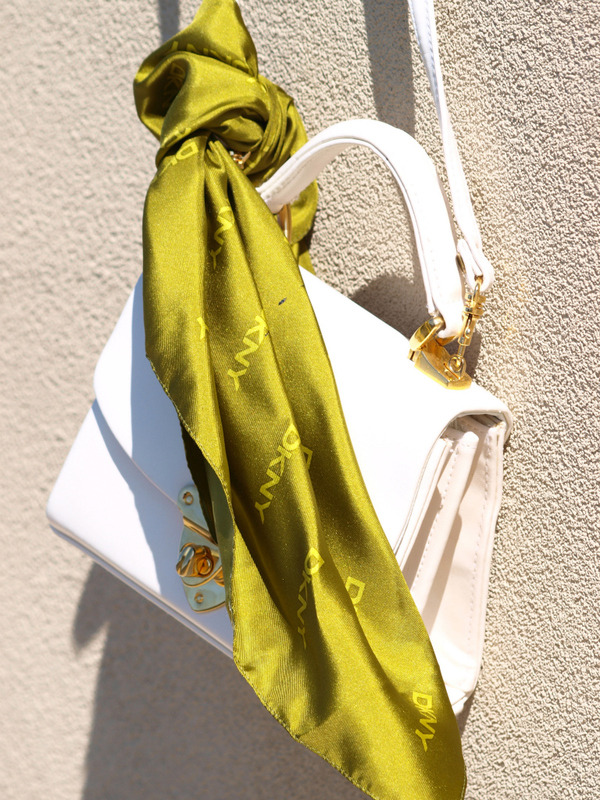 Adore the touch of your little green scarf tied to your super cute bag!!! Thank you Daniella! and thank you very much all!!! WOow so I don’t want to sink in sycophancy BUT you (decidedly) have a (so understated) ability to play with all types of chromatic shades, to better emphasize their multi-faceted subliming potential Dear !!! Hello colour! I love tangerine and it looks fantastic on you sweetpea. That white bag/brogues are too gorgeous though! Wishing you a wonderful month pretty thing. Love your outfit! Orange is such a great color on you!! Super cute!! Love the sweater and your ring is killer! u look gorgeous as always!! i honey, i’m soooo sad: i love your bag and when i scrolled down i saw: vintage :-( i want it, this bag is so beautiful. i love the size, the colour, it looks fantastic! where can you buy such wonderful bags?!?! in germany you can’t :( saaaaaaaaaaad! You do colours so well!! Very citric! Your sunglasses is love it. And your shoes & bag is fantastic color. I love the colors, pants are amazing! @Maren ,I find all those vintage bags in antique shops and consignments shop, for sure you have this kinda shops there ! 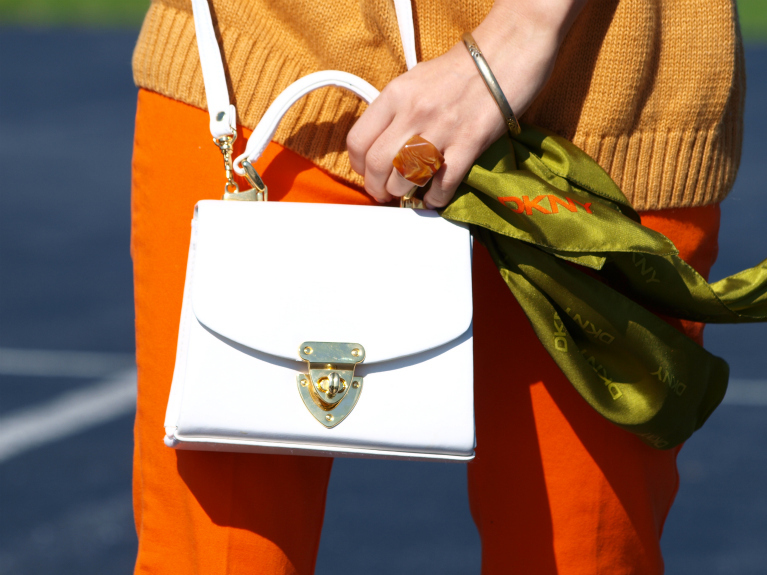 You look gorgeous in orange and I love the green scarf accent on the bag! I absolutely love the white accessories with this colourful outfit ! Well done, my dear. you look amazing! Love it!!!!! I like the color combo of your outfit! wow! interesting combination of colours! it’s actually cool! Such a lovely outfit!!! And all the pictures are gorgeous! These colors mix so well together!! 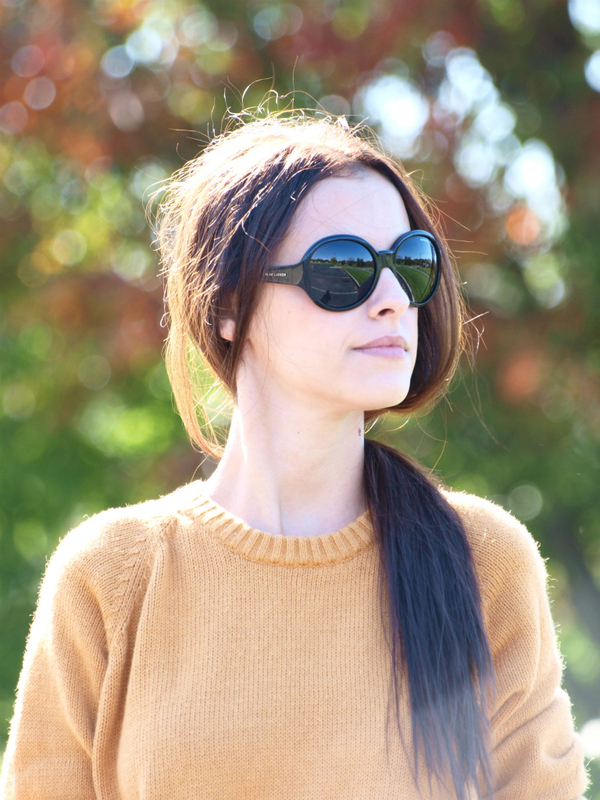 I’m loving Camel this season! Your outfit is amazing! :) I love the colour! I love your outfit, is amazing! Pretty lady pretty lady ~ so hard not to miss you in the crowd! I like your outfit, but your bag caught my attention the most. SO white and clean! What a beautiful simple and fresh look, I adore it! Thanks for your coment!! !I love your blog. I love the beautiful vintage bag. The pants are amazing! everything is perfect about them: the hemline, the vivid colour, and the fabric!It’s a perfect example of a modern preppy look! Great sweater, I love the bag too! Casual and inspiring. Loving the orange and yellow mix with the white! Whoever said you can’t wear white after labor day was stupid. Love the colors! Very inspiring look. Again! Love the colors! So pretty!